The SoloBrush is a humane way to brush and massage your horse or pet at the same time. 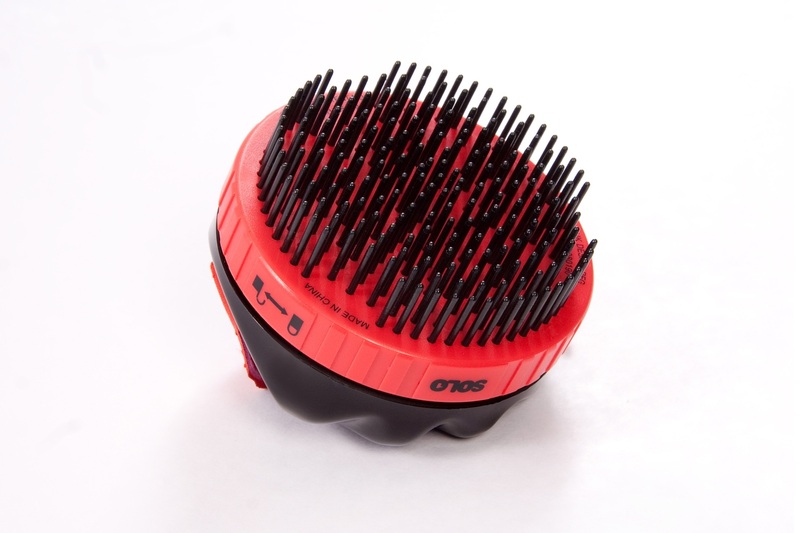 The malleable bristles easily glide through hair while massaging the skin. To clean the brush of hair just twist and the hair will fall out, no need to pick every last strand out. This hygienic brush has a contoured handle for comfort and an adjustable velcro strap that keeps it firmly in your hand. There are currently no questions for Solo Groom SoloBrush - be the first to ask one!